Whether you are practicing vegetarianism, veganism or Meatless Mondays, enjoying a meat-free meal can help reduce your carbon footprint on this planet. 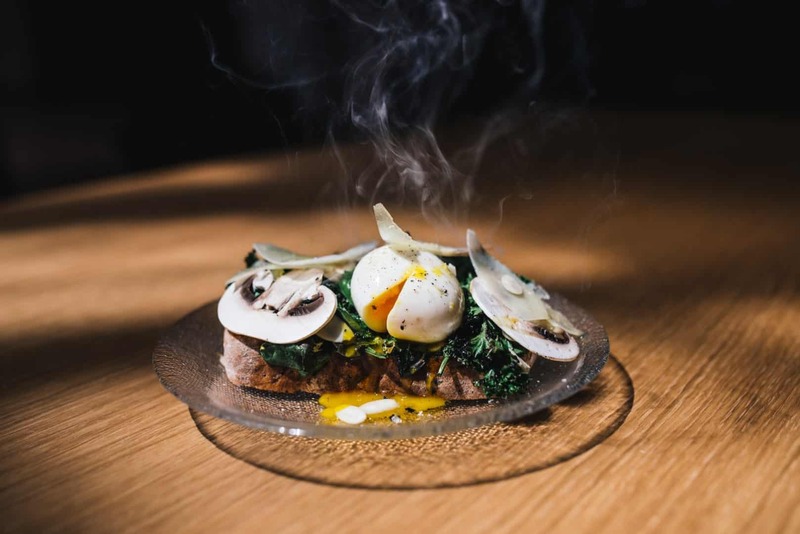 Also known as alternative meats or analogue meats, these food items are essentially plant-based but have the texture, flavour or chemical properties of actual meat. According to a market report, the global meat substitutes market size was valued at US$ 3.71 billion in 2016. Practicing a meatless diet comes with many benefits, including lower cholesterol, blood pressure and overall body weight but there most people are concerned with getting enough key nutrients normally associated with meat especially protein. Meat substitutes can also supply additional nutrients that may not be found in meat, such as probiotics, antioxidants, vitamins and minerals. Not to worry as Mother Nature has provided us with plenty of non-meat protein sources such as legumes and soy. However, not all of them share the same texture or taste like real meat. There are some though and we have listed them here. So the next time you are mulling going easy on the meat and are also feeling a little adventurous, give these meat alternatives a try. These plant-based foods will help you skip the meat and still enjoy delicious meals that are hearty and satisfying. Moreover, many of these meat substitutes are very versatile and even more affordable than some types of meat. 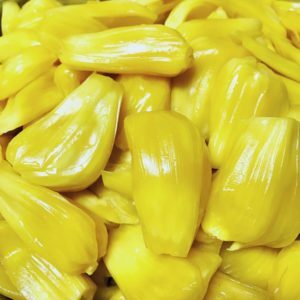 Jackfruit of the unripe kind is a controversial meat substitute. You see, meat substitutes are supposed to be an alternative protein source but the fruit from the world’s largest fruit actually does not contain that much protein. Still, it has the texture of meat, especially shredded meat. Young, green jackfruit also takes well to intense spices. It is currently sold in cans (choose the kind in brine) since peeling the fruit can be quite tedious, not to mention messy and sticky. The fruit, even when unripe, has a sweet taste and pairs well with strong, sour flavours like jerk and curry. It is also high in fiber and relatively low in calories (95 Kcal per 100g), making it a great aid to digestive health. It’s also high in vitamins A and C.
Portobello mushrooms are the most popular fungi used as a meat substitute. They have a large surface area and strong meaty flavour. Plus, they have an umami flavour, that tends to be very satisfying. Often used whole in burgers, mushrooms can also be chopped, sliced or ground to provide a meaty texture to your dishes. As an example, you can use finely chopped mushroom as ground meat in your chili or keema. Or maybe as the “steak” in a Philly Cheese Steak Sandwich if you want to try something lighter. Nutritionally, mushrooms are rich in vitamins D and B, selenium, and high in fiber. They are also full of nutrition with low calorie and fat content. Many people do not like brinjal and who could blame them? If not cooked properly, they can be spongy, soggy and taste bitter but if done well, breaded and fried brinjal can be super delicious and a great substitute for chicken cutlets. The jury is still out on whether brinjal makes a suitable meat substitute in terms of texture but it does have a delicious savoury (umami) flavour. A brinjal’s nutritional profile is not the best as it contains very few macro and micronutrients. However, the flesh can absorb a large amount of cooking fats and sauces, which is perfect for very rich dishes. Moussaka, which is the Greek equivalent of lasagna, uses grilled thinly-sliced brinjal in lieu of pasta sheets. Tofu, which originates from the Han Dynasty in China, is created from soybeans. The most famous plant-based protein was once dubbed “small mutton” by Tao Gu in the 900s. Tofu can be found either with a hard or soft texture with the more firm tofu having a taste similar to chicken. Now we all know that chicken tastes pretty much blank on its own and this is the same with tofu. This is a good thing as this means tofu will readily absorb, hold and not interfere with the flavours of your chosen seasonings. An added bonus, a single serving of tofu (90g) packs in 9g of protein. It is known to be a complete protein source and has little to no saturated fats, making it very heart-friendly. To find out about other meat substitutes, visit the Malaysian International Food & Beverage (MIFB) 2019 Trade Fair from 26-28 June 2019.